Looking to serenade and confuse your love interest simultaneously? Trying to put a little Dr. Suess in your Sousa? Well then look no further than these weird, absurd instruments. I MEAN REALLY, what were they going for here? The theremin is one of the most difficult instruments to master because its infinite range of tones makes it virtually require perfect pitch and hands like a master surgeon to play EVEN DECENTLY. And even when you get a virtuoso at it, it'll still sound like a War of the World's alien throatcall operetta. Which is cool if you are specifically into that. 2. Jaw Harp / Jew’s Harp / Juice Harp / etc. 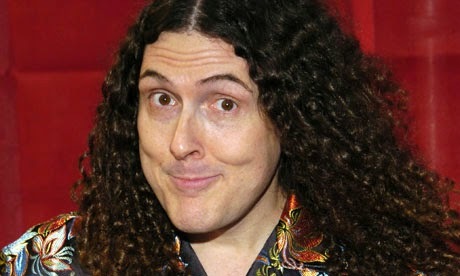 It's a harp that you fit in your mouth that sounds like those doorstops that I used to be way too fascinated with. But these two buddies somehow coordinate it into something scarily enticing and hypnotic. I'm worried about the capability this instrument has. The prettiest, prettiest princess of all the instruments is the glass harmonica. Just one stanza, and suddenly it's wintertime in the magical forest. The glass harmonica is essentially just like playing a bunch of stemware at the same time. So if you're a Miss Congeniality fan, you'll be dazzled to know that Sandra Bullock is a glass harmonican. Is a tiny gentleman inside this tiny room with a normal sized violin? Haha, gotcha, because the octobass is actually JUST THAT HUGE. The low string played openly reaches the low points of the human hearing register. Get all that "the call is coming from inside the house" spine-prickling TERROR with no plotline required! This thing is honestly terrifying. Don't let the keyboard-like appearance fool you- the ondes martenot is far more closely related to the theremin. In its original design, the ondes martenot was only a black box that received wavelength feedback according to a rolling dial. The keyboard allowed it to target specific notes, and made it far easier to actually use for anything. However, far less spooky. Somebody figured out that you can make music with lightning and I'd like to invite them to a dinner party. This is my formal invitation, hope you see it. Because I'm going to make the sweeping assumption that you've got some interesting things to talk about. Bring your lightning music machine. Because we're having barbecue and it may speed up some processes. If you've ever thought "Wow, this piano bar needs some more haunted saloon music, STAT!" then we direct you to this jangly, fun instrument that instantly dates any piece to the rootin tootin old west. This cool guy with a deep sea fisherman's hat actually converted his own piano into a tack piano by creating a removable bar with tacks in it, and then plays a saucy little tune that belongs in the carnival of my nightmares. Cuica sounds like you gave a jungle macaque a recorder and told it to go nuts. However, it looks like a drum, and that is bonkers to my brain. Uh ohhhhh somebody just added LASERS to the equation and my interest just piqued. Don't know, don't have a lot else to say on this one except LOOK AT THE THING. 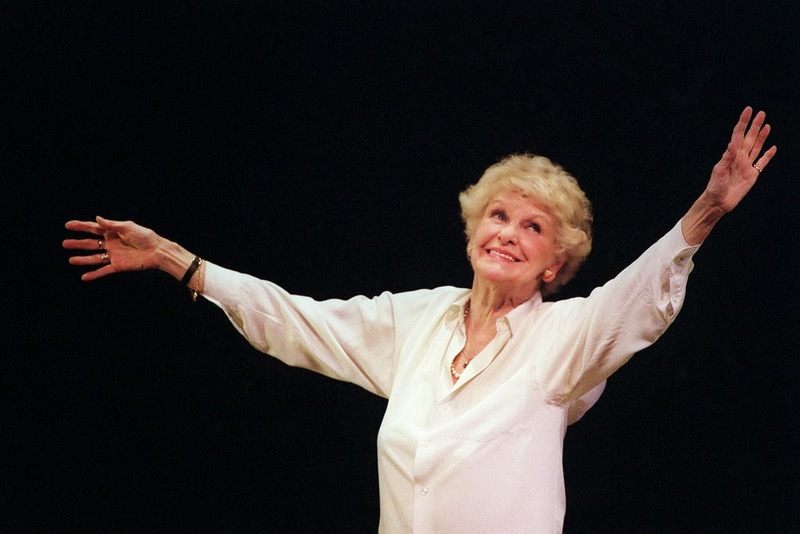 The great Broadway legend, Elaine Stritch, has left us this week at 89. A feisty, take-no-prisoners talent that will be hard for us to replace. Elaine first burst upon the Broadway scene in the early 50’s in Rodgers & Hart’s PAL JOEY, and continued performing on stage and cabarets through 2013. Her signature songs, including "I'm Still Here," "The Ladies Who Lunch," and "I Never Know When to Say When," will continue to be celebrated Broadway treasures. Her one woman show ELAINE STRITCH: AT LIBERTY and last year’s documentary ELAINE STRITCH: SHOOT ME are required viewing for theater buffs everywhere. What is your favorite parody? Let us know!